I learned a long time ago that while super creative people that come up with totally new ideas are amazing, they are fairly rare and that there is a certain art to taking what others have created a finding a way to make it your own. One of my former bosses used to say, "We don't reinvent the wheel, we just tweak it." Bloggers are pretty much the same. We take good ideas and adapt them to us and our readers. My idea for this favorite things post came from some of my favorite bloggers' series about Friday favorites. I probably won't do this post every Friday, so I just left it at Favorite Finds. Also, alliteration makes me happy. Sometimes, you just find new items and think, "Where has this been all my life? Do other people know?!?" and you have to share it. These are my recent finds! I'm sure everyone and their brother knows about this razor, but I am cheap. 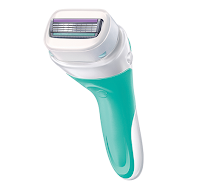 I hate spending lots of money on razors, so I never bought this one. But the refills for my usual razor were out and I had an Ibotta coupon for this one, so I bought it. And holy life changer! I can shave my legs in about two minutes! I don't have to lather them up first, then shave. You just shave! It's amazing! I am slightly annoyed that they are more expensive than what I normally use, but I consider the fact that I will show up to the gym with hairy legs less often a win. 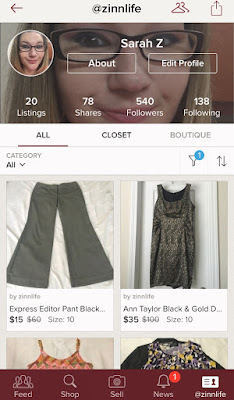 My friend Traci over at Choosing Better told me about Poshmark. I am what you would call obsessed. Poshmark is like an online consignment store. It's great because it's on your phone, so people are always looking at the site! You can sell pretty much anything on there! Traci told me about it at a blogging class, but I took my sweet time using it. One day I posted a few items and once the notifications started rolling it, I was hooked! If you've never tried Poshmark, you can use my reference code URABC and we both get a $5 credit! Win win! 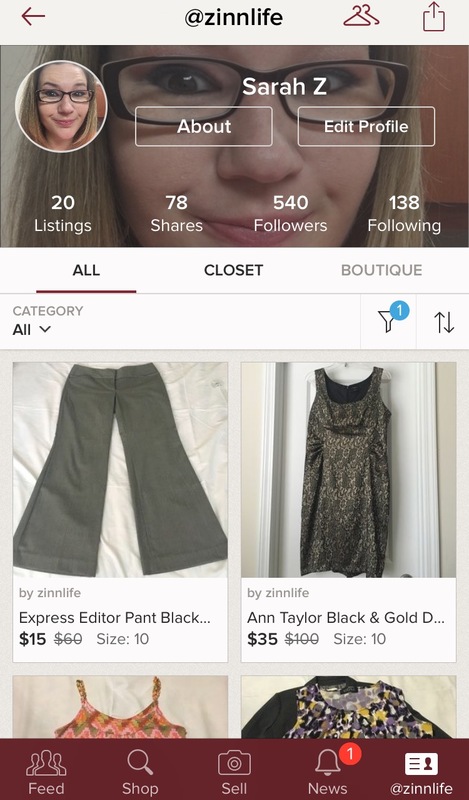 Traci has a really good post on how to tell on Poshmark and it's what I've used and have already sold three items in a week! Yay! You can find her post here. It's helped me sell five items in about two weeks! What I like most about Poshmark is that it's easy. It's easy to post your items, to share your items and to ship them - they send you a prepaid label, you pack the item up and ship it out via the USPS. When you're listing, you can see exactly the amount of money you'll make off the sale. It's a great way to earn some spending cash on the clothes you don't wear. It's also a great place to find items that might be out of your usual budget - like Lululemon! The last time I was at Origins, I picked up some items for me and gifts for my mom and mother-in-law. 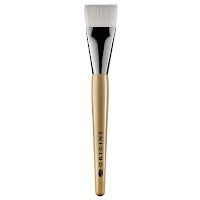 I was pretty close to a free gift, so the lady suggested I buy the mask brush to get me to the free item. I thought it would be dumb, but that thing is actually really useful! Who knew?! If you do face masks regularly, which I now do weekly, it's a super easy way to apply your mask and apply it evenly. And it's only $11. Not a bad deal! These are my newest snack obsession! I am not a huge banana fan as I need them to be exactly right to not be gross when I eat them. They can't be too mushy and they can't be too hard. Banana chips are the answer to that issue! I first realized I liked banana chips when I had them in the new Sargento Sweet Balanced breaks (another good snack option). I found myself wanting to eat all the banana chips first! So I grabbed a bag of them and it was love and it was love at first crunch! Try some if you haven't! 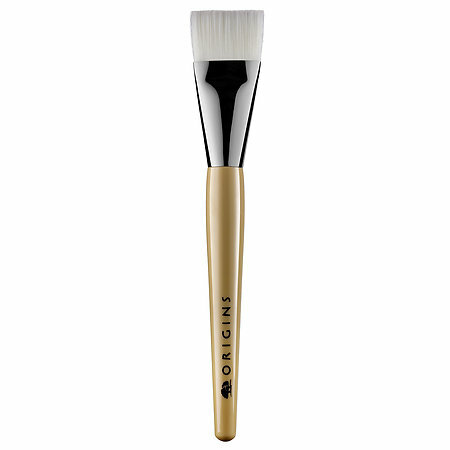 What are some of your favorite finds? Happy Friday friends!